On our first Essen trip back in 2012, Splotter released THE GREAT ZIMBABWE. It was another vintage Splotter albeit one game that’s done using an African theme artwork. 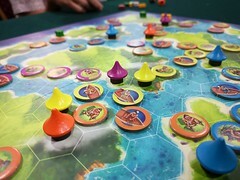 The Great Zimbabwe (TGZ) is also where we find a more streamlined Splotter game – compared with their earlier games like Roads & Boats and Antiquity. 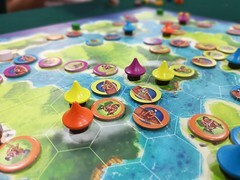 TGZ is still a long game by normal Euro standards. 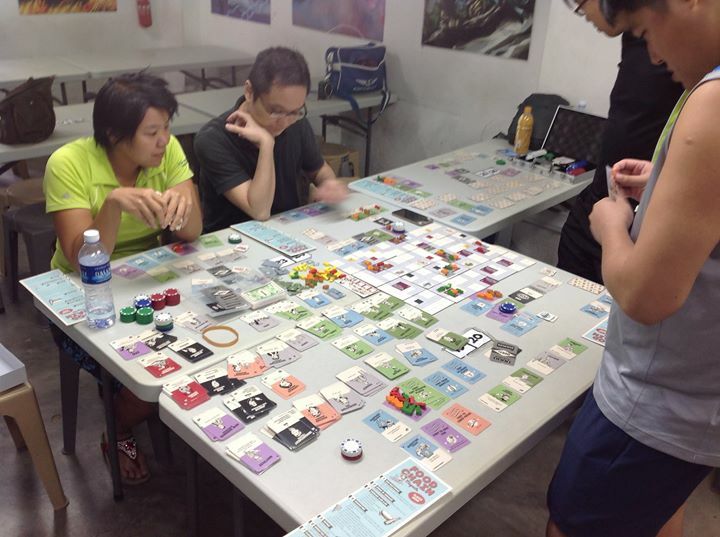 It’s rated 2-3 hours and in one of our BGC Retreat session, I think the game overflowed into 4+ hours. But it is the more streamlined of Splotters. I like it a lot and if you wish to find out more / why, feel free to read our sessrep here. Then Splotter went quiet for two years without releasing any new title. They did have a Roads & Boats reprint in 2013 but nothing in 2014. This year they are back with a new title! 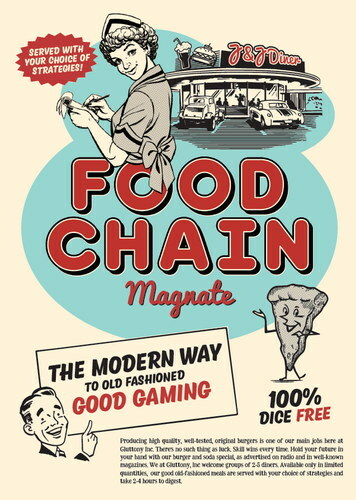 You can bet everyone was waiting with bated breath to find out more about the new release this year FOOD CHAIN MAGNATE. Tell me, does the above sound like a Splotter game? Not at all. Maybe the “fast food” theme thrashed it a little but the game description above sounded… “light”. Splotter? Nah…. 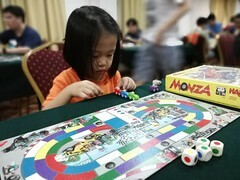 Splotter, the fine dining of boardgames stepping into the Mcdonald’s market? Yet you know Splotter always deliver (well, almost always if you dun trade ducks with turkeys hehe). 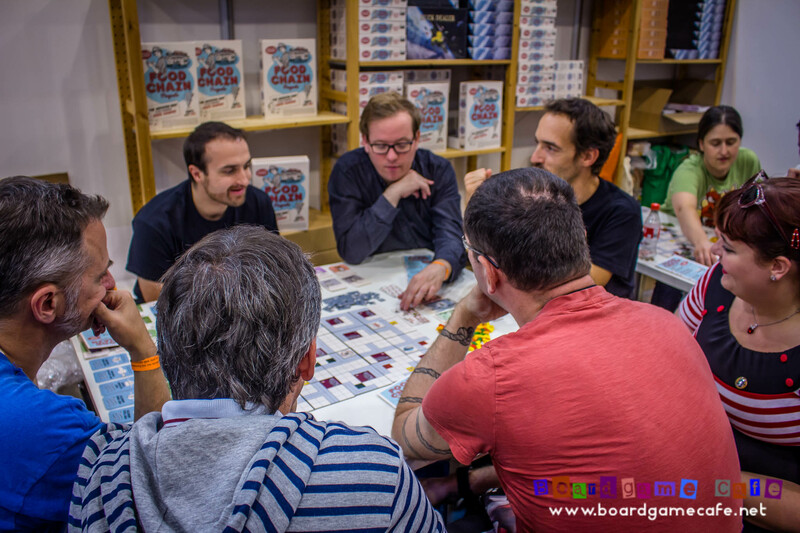 Joris teaching Food Chain Magnate in Essen. 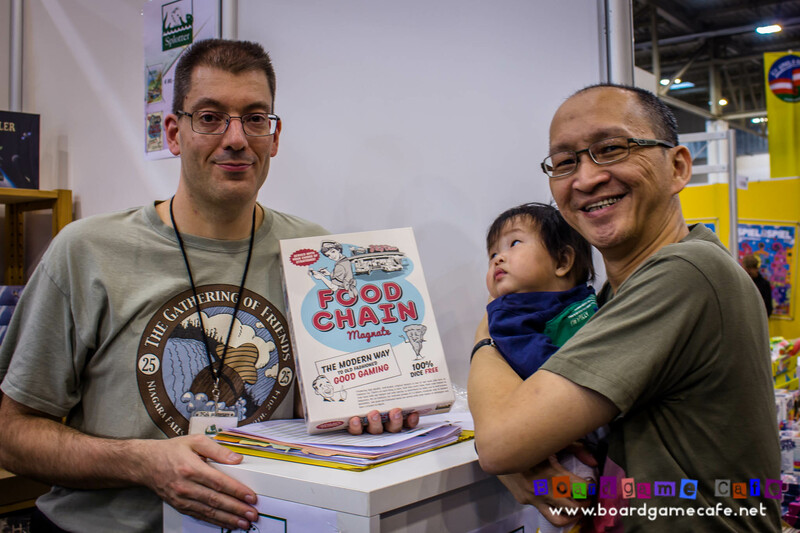 Food Chain Magnate has very limited previews pre-Essen, no PDF rulebook was posted online not even in Boardgamegeek (that’s simply Jeroen’s preference of not uploading any rules until the games hit Essen), and likely going to sell-out in Essen in spite of its hefty price point (EU75 retail). 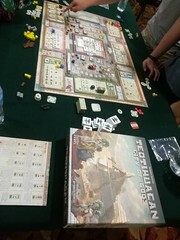 Picture of a FCM session from Singapore from Colin Lim. He rated it as “deliciously cutthroat”. 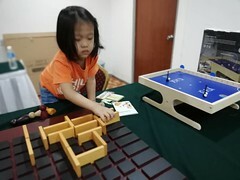 We hope to get some sessions of this game thru our Friday meetups and would drop a sessrep into here when that happened. 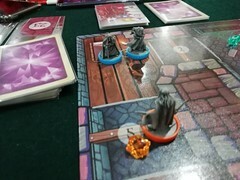 I’ve read the rulebook for this game and inline with the “fast food” theme, it has the simplest of all Splotter rulebooks (among their heavy titles). Everyone I knew who had seen the game box or components simply love the retro-50s artwork, which is another departure from Splotter norms. If you had seen the gamebox, you would also like the humourus taglines – that’s still keeping inline with the restaurant / food business theme – sprinkled by Splotter thru out the box cover. Served with your choice of strategies! I love this blurb (below) which describes the game as well as Splotter themselves. Producing high quality, well-tested, original burgers is one of our main jobs here at Gluttony, Inc. There’s no such thing as luck. Skill wins every time. Hold your future in your hand with our burger and soda special, as advertised on radio and in well-known magazines. We at Gluttony, Inc welcome groups of 2-5 diners. Available only in limited quantities, our good old-fashioned meals are served with your choice of strategies and take 2-4 hours to digest. Now THIS does sound like Splotter! 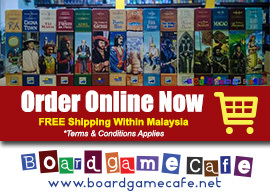 p/s If you missed our preorder and is looking for a copy of this game, do get into our waitlist. We hope to bring in another batch if possible.